Customer relationship management (CRM) software can carry a lot of the workload for business processes, especially the sales process. A CRM solution along with its native integrations into key marketing technologies like marketing automation make for an amazing opportunities for small businesses and large enterprises to thrive. 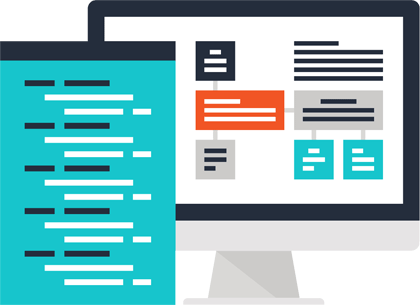 Today’s CRM software is highly scalable and customizable, allowing businesses to gain actionable customer insights with a back-end analytical engine, view business opportunities with predictive analytics, streamline operations and personalize customer service based on the customer’s known history and prior interactions with your business. Now more than ever, businesses need to expertly manage prospects, opportunities and existing customers with great care. Using a CRM platform is an essential part of that strategy. CHESS TRENDING offer a full range of CRM solutions starting from Consulting and Software development to Back-office support. Spanning over forty man years of development experience and by using our agile development techniques. Having deployed dozens of different CRMs for various business sizes, We know firsthand that there are tons of features and functionalities you must consider before buying and implementing a customer relationship management system. But, it really boils down to 2 key points. To select the right CRM and know what specific CRM functionality your team and organization needs. To cover the first issue below is our CRM features list for your perusal. Keep in mind that not all platforms are going to have this full list of CRM features so you need to define what you need and do your research. What is Demo want to test? We are a professional Company For Digital Solutions . We understand the online business. Our solutions allows us the capability to take your Business to the top of Market Share. © 2017 All Rights Reserved. Created by Chess Trending.